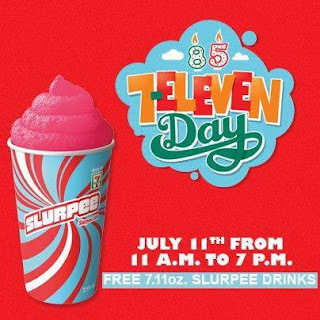 Today only 7/11, you can get a FREE slurpee at 7 Eleven from 11 am to 7 pm. My kids LOVE slurpees, and I will be taking them to our local 7 Eleven this afternoon for a cool summer treat! Will you be taking your kids (or yourself) to get a free Slurpee at 7 Eleven today?